With today’s technology, SEO and video go hand in hand. Increasingly, people want information quickly and watching a video is often easier and more interesting than reading about the subject. Search engines not only index websites, they also return searches on relevant images and videos. Research by Forrester (an independent technology and market research company) suggests a video is over 50 times more likely to achieve a first page listing on Google than a traditionally optimised website. Yet remarkably few companies are taking advantage of video production as part of their SEO strategy. Web video production, carefully managed, is a very cost-effective way of boosting your search engine optimisation and substantially raising your company profile. Talk to us today about your SEO and video production. Send us your enquiry or call us now on 0845 601 2237. With this level of potential, shouldn’t you be thinking about SEO video production as part of your internet marketing strategy? Why Use a Professional Video Production Company? Video, like all marketing tools, must give the user a positive experience and increase your sales and profits. While most people have a mobile phone capable of shooting video, the results are second-rate. Instead of enhancing your corporate image, amateur video footage can be detrimental. If video is to deliver an ROI (return on investment) and increase your conversion rate, it must be delivered professionally. When you choose a professional video production company, you’re commissioning experienced technicians who use quality filming and sound equipment. And what’s more, you don’t have to worry about facing the cameras yourself. Our production team use professional presenters, interviewers and voice-over artists who specialise in business videos. What Type of Video is Best for Me? A web presenter video streams when a visitor lands on your website. Generally, they run for between 30 and 60 seconds and are used to capture the visitor’s attention and interest. This type of video engages the visitor and helps direct them to the next call to action. A presenter-led video is streamed through YouTube or another online video application. They generally run for between 1 and 3 minutes. These videos are ideal for conveying longer or more complex messages. A professional presenter delivers your script. Graphics, images and infographics can be used to help demonstrate and reinforce your message. Corporate videos are often shot on location and normally last between 3 and 10 minutes, allowing you to engage with your audience fully. Questions and answer techniques might be used with a professional interviewer, interspersed with shots of your premises, staff and company in action. The end result is like a mini documentary about your company. From promoting your products and services, to recording video testimonials, this technology presents a wealth of opportunities to companies of all sizes. Talk to us to day about how video production can increase your internet influence and help you win more customers. 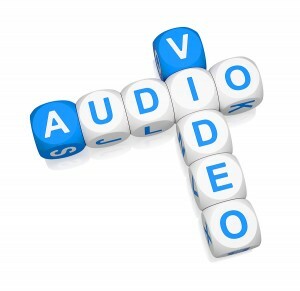 Send us your SEO video enquiry or alternatively, phone us now on 0845 601 2237.